The 12-member World Select Team for the 2019 Nike Hoop Summit features many of the world’s leading basketball players age 19 years old or younger. The 22nd annual Nike Hoop Summit will take place at the Moda Center in Portland, Oregon, on Friday, April 12, 2019. 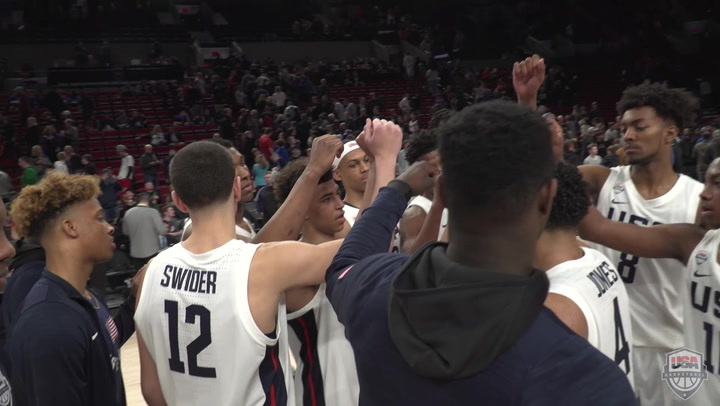 The annual game pits the World Team against the USA Basketball Nike Hoop Summit Team, which is composed of elite, American high school seniors. Beyond the Hoop Summit’s prestige, participation in the game is seen as a step towards professional play. As of Nov. 6, 2018, a remarkable 118 Nike Hoop Summit alumni were active in the NBA, including 80 former U.S. players and 38 former World Select Team members. The 2019 Nike Hoop Summit World team is led by Josh Green, an athletic shooting guard who played in the 2018 Nike Hoop Summit and is the No. 7 ranked player on ESPN100 list and a 2019 McDonald’s All-American. A native of Australia, Green moved to the United States in 2014 with his family and has committed to play at the University of Arizona. He currently plays for IMG Academy in Bradenton, Florida, and is an Australian National Team candidate for FIBA Basketball World Cup 2019. 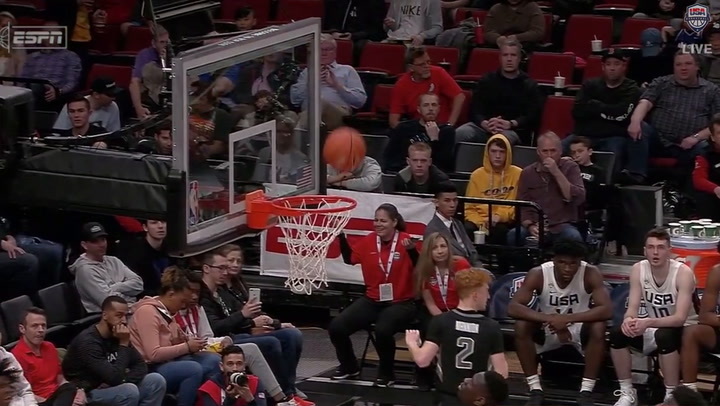 Nico Mannion, another 2019 McDonald’s All-American, will be joining Green at the University of Arizona this fall. A native of Italy, Mannion is ranked No. 8 in his draft class by ESPN. The 6-foot-4 guard was also selected to play in this year’s Jordan Brand Classic in Las Vegas. Kofi Cockburn also returns for his second Nike Hoop Summit to represent his home country of Jamaica. The 6-foot-10 center plays for Oak Hill Academy and has verbally committed to the University of Illinois. He is ranked No. 44 by ESPN for the 2019 class. A native of Mali, N’Faly Dante is the third player to make his second appearance at the Nike Hoop Summit. ESPN’s No. 15-ranked member of the 2020 class, Dante is a 6-foot-11 center from Sunrise Christian Academy in Wichita, Kansas. Precious Achiuwa will also represent Mali on the World Team. He is an athletic finisher who plays at Montverde Academy in Florida. The 6-foot-9 swingman can score inside and on the perimeter and is ranked No. 16 on ESPN’s Class of 2019. Matthew Alexander-Moncrieffe is a 6-foot-7 forward from Orangeville, Ontario, Canada. He represented Canada in the 2018 FIBA U17 World Cup and has yet to make his college choice. One of the youngest players on this year’s squad at the age of 17, Andre Curbelo helped Puerto Rico earn a bronze medal at the 2018 FIBA U17 World Cup. The 6-foot-1 point guard preps at Long Island Lutheran in New York. Haowen Guo, a 6-foot-6 versatile wing player from China, competed in the 2018 FIBA U18 Asian Championship where he averaged almost 19 points a game. Oscar Tshiebwe, a 6-foot-9 West Virginia University commit who hails from Congo, is ranked No. 37 on ESPN’s 2019 recruiting class and is among the best rebounders in that class. A 6-foot-6 guard, Joshua Obiesie is a native of Munich, Germany. The 18-year-old left-handed guard competes for s.Oliver Wurzburg, his club team in Germany, and the same club where NBA great and Nike Hoop Summit alumni Dirk Nowitzki once played. Serbian-born Marko Pecarski is a 6-foot-10 forward plays professionally in the ABA League in Eastern Europe. Pecarski was a member of the Serbian U18 national basketball teams that won the gold medals at the 2017 Championship and the 2018 FIBA Europe U18 Championship. He was the top scorer and the rebound leader of the 2018 Championship which helped him earn the MVP of the tournament. 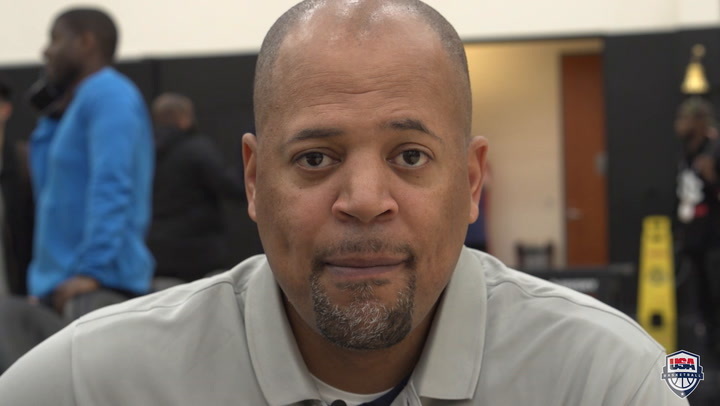 The World Team at the 2019 Nike Hoop Summit will be led by nine-year coach Roy Rana, who currently has a 4-4 record in the series. In 2018, Rana became the longest serving head coach in Hoop Summit history and also has the most wins of any coach in Hoop Summit history. Rana is currently the head coach of the Ryerson University men's basketball team in Toronto, where he has led the Rams to five consecutive National Tournaments. His teams have won nine Provincial and national medals in the past five seasons. Rana has also served as head coach of Canada's under-17 and under-19 national teams. In 2017, he coached Canada’s U19 men’s national team to a World Cup title, Canada Basketball's first-ever gold medal at a World Cup FIBA competition. Rana was also the head coach of Canada's Senior Men's National Team during the FIBA World Cup Qualifying windows where they finished first in their group at 10-2 and qualified for the 2019 FIBA Basketball World Cup in China. He will again be assisted by Serbia's Marin Sedlacek, who is making his 19th Hoop Summit appearance. Tickets are available at Ticketmaster.com, the Rose Quarter Box Office or by calling 800-745-3000. Lower bowl seating starts at $10, courtside seats are available for $50 and VIP Packages also are available. 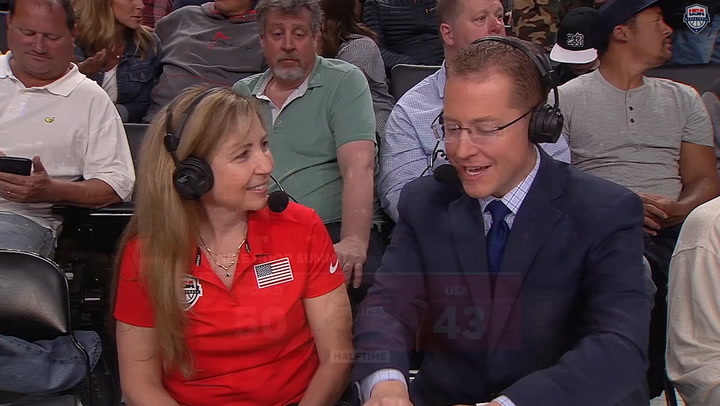 The United States holds a 14-7 advantage in the Nike Hoop Summit. In 2018, the World Team set an international record with total 60 rebounds and topped to the USA Team 89-76. 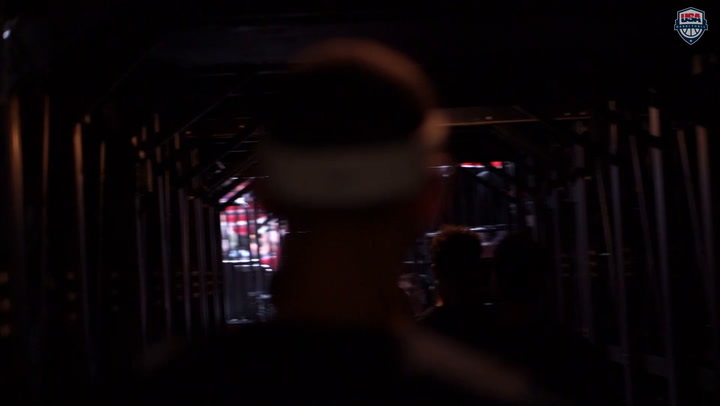 In addition to victories in 2012, 2013 and 2015, the World Team triumphed in 1996 in Charlotte, North Carolina, by a 104-96 margin; in 1998 in San Antonio, Texas, when Dirk Nowitzki famously recorded 33 points and 14 rebounds in a 104-99 victory; and in 2009 by a 97-89 margin at the Rose Garden. World Hoop Summit alumni playing for NBA teams as of March 2019 include: Shai Gilgeous-Alexander (Clippers); DeAndre Ayton (Suns); Alexis Ajinca (Pelicans); Nicolas Batum (Hornets); Davis Bertans (San Antonio Spurs); Bismack Biyombo (Hornets); Clint Capela (Houston Rockets); Cheick Diallo (Pelicans); Joel Embiid (76ers); Dante Exum (Utah Jazz); Evan Fournier (Magic); Serge Ibaka (Raptors); Nikola Jokic (Denver Nuggets); Cory Joseph (Pacers); Enes Kanter (Trailblazers); Skal Labissiere (Trailblazers); Trey Lyles (Nuggets); Thon Maker (Pistons); Boban Marjanovic (76ers); Patrick Mills (Spurs); Nikola Mirotic (Bucks); Emmanuel Mudiay (Knicks); Jamal Murray (Nuggets); Raul Neto (Jazz); Dirk Nowitzki (Mavericks); Tony Parker (Hornets); Dario Saric (Timberwolves); Dennis Schröder (OKC Thunder); Ben Simmons (76ers); Tristan Thompson (Cavaliers); Karl Towns Jr. (Timberwolves) and Andrew Wiggins (Timberwolves).